(Nanowerk News) The disk surrounding the young star TW Hydrae is regarded as a prototypical example of planetary nurseries. Due to its comparatively close proximity of 176 light-years, the object plays a key role in cosmological birth models. 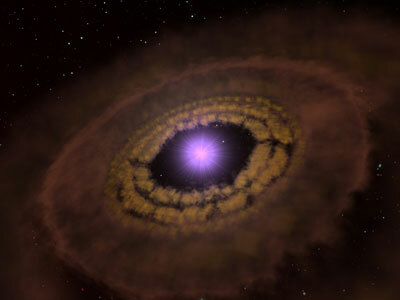 Using the Herschel Space Telescope, researchers including Thomas Henning from the Max Planck Institute for Astronomy in Heidelberg have, for the first time, determined the mass of the disk very precisely ("An old disk still capable of forming a planetary system"). The new value is larger than previous estimates and proves that planets similar to those of our solar system can form in this system. In addition, the observations are an example of how, in the world of science, not everything can be planned for.